Who doesn’t love farmhouse style? Okay…maybe not all want it in their home….but it is a very popular style right now. Actually, I’m not sure that it doesn’t just STAY in style. It’s always been my style. Today, I’m gonna share with you a link to this article written by Barbara Garrett from The Everyday Home and Live Creatively Inspired. She has some amazing ideas for getting the farmhouse style. I really thought y’all would really enjoy this. 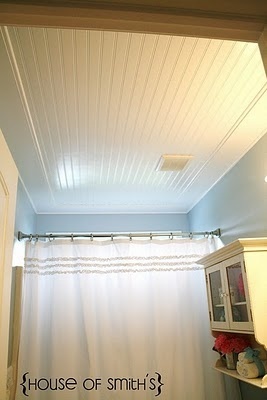 Be sure and visit my article on how to add Farmhouse charm to any home. 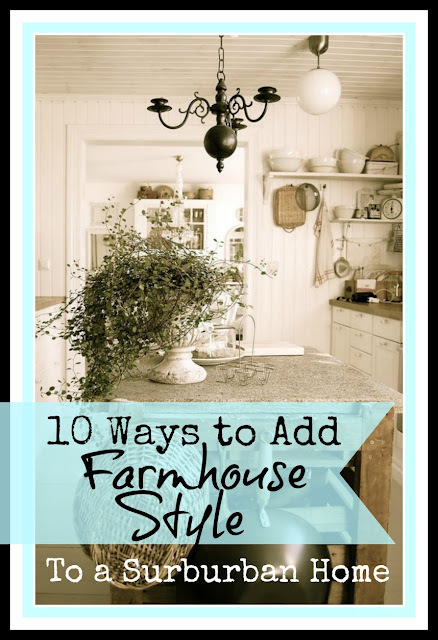 Here are some of my thought on how to add Farmhouse charm to any home. Thanks for stopping by Dianne. Ticking is one of my favorite fabrics too! I agree…the larger double farmhouse sink is so much more practical in this day and time. If you are interested in selling the copper sink let me know. I may be interested. Barbara is planning on reusing her sink….but I will let her know that you are interested if she doesn’t. I love Farmhouse style. 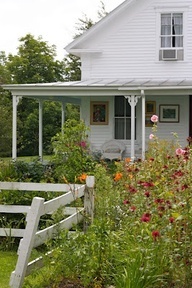 My current house is not really conducive to it, but we are planning on downsizing at some point in the next 8-10 years or so, and I would love to have a small cottage where we could do a more casual look! I love the farmhouse style. I think that would be great. Thanks for coming by.